Over the years there has been a lucrative turn in the market for selling hair. And for this reason hair culturing has proven to be a worthwhile business with many mompreneur and working women around the world gaining much from hair selling. Hair accessories like different sorts of hair-bands, wigs, hair extensions and other sorts of hair pieces are made with the help of high quality actual human hair. In reality, there is actually a huge demand for it. 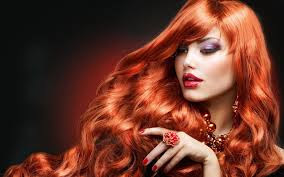 Women, with lustrous hair who have always loved it keeping it long and beautiful often go for a snip these days as it serves as an easy way of making money. It is an absolute necessary that the hair is untreated and has never been subjected to any sort of coloring or straightening or other kinds of treatment. In technical terms, it is called "virgin" hair. This is because only an untreated, natural hair can withstand the additional treatments required for making hair accessories. A long hair is desirable for the business of hair selling since buyers require long, healthy hair for hair extensions. Also, sometimes, the entire hair may not be usable and additionally clipping is required. Generally, a good 10 inches of hair are easily sellable. To sell hair, not only having good quality hair is an added advantage but also taking good care of it is required. One can advise, not to shampoo hair regularly, since hair strands have the tendency to retain the harsh chemicals containing in shampoos. Also, less use of blow driers, curling irons, straightening irons and other kinds of hairstyling products and more use of natural home-made products such as rosemary oil, juniper oil, lavender, egg whites etc. can be suggested. Price paid by the buyers obviously varies when you Sell Hair, and it also depends on a variety of factors such as length of the hair, how good or bad the condition of the hair is and essentially on the natural color of the hair. However, one can expect to earn from $100 to as high as $1000. Thus, someone having long, beautiful hair can definitely show some interest in the business of selling hair. Have you ever thought about selling your hairs? Or are you already tried this before? Please do not forget to share your experiences below by writing in the comment section.